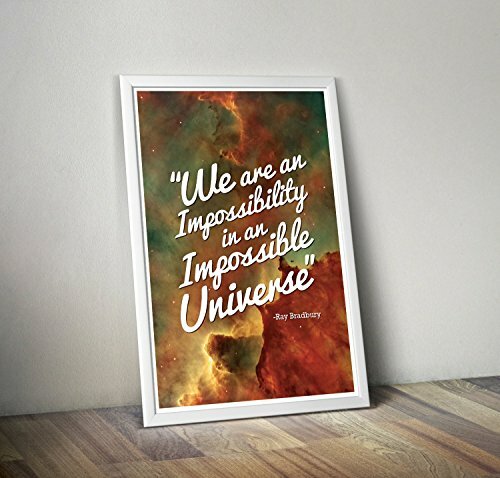 "We are an impossibility in an impossible universe." This quote really zeroes in on what it's like to contemplate our place in the cosmos and our origins. Ray Bradbury is a science fiction author who thinks up the futures of man and has a rabid following of readers. At the Geekerie, we're always looking to the stars for inspiration for our prints.